Donut Crazy, a local, family-owned eatery specializing in unique donut flavors (lovingly called Dailies & Crazies), announced a tasty new menu item called the “Cruffin.” The croissant-muffin crossover is the company’s way of celebrating the first sugar-filled year of its New Haven location near Yale University. The “Cruffin” will be available at all Donut Crazy locations for $4.25, starting on Friday November 3, weekends only and while supplies last. The “Cruffin” has quickly become the food world’s newest bakery obsession, much like the “Cronut” before it. The buttery, flaky pastry is shaped like a muffin and filled with different flavors. 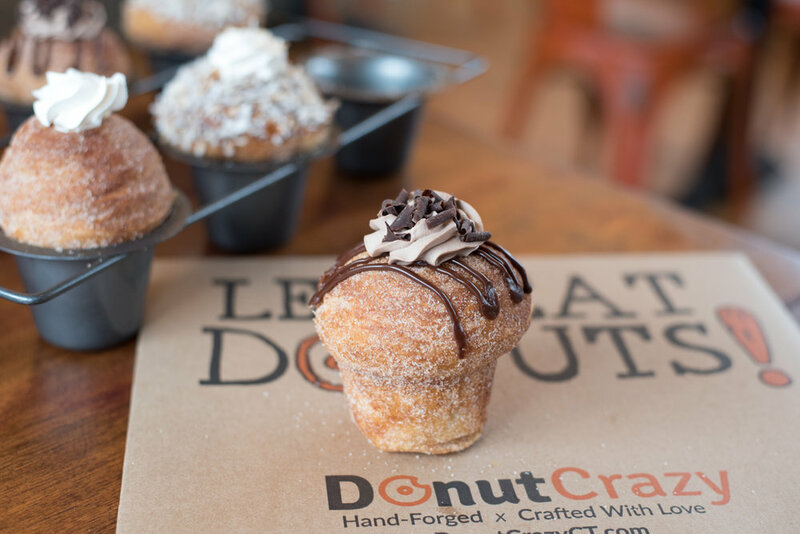 Donut Crazy plans to offer coconut, dulce de leche, chocolate mousse, and pumpkin. More exciting flavors to come! In addition, Donut Crazy is giving away a double-decker birthday cake donut with any coffee purchase through this weekend, while supplies last (all locations). Donut Crazy, which offers additional menu items including avocado toast, sandwiches, Dr. Smoothie products, as well as chocolate milk and Rise Brewing Co.’s nitro coffee on tap. Donut Crazy has locations in Shelton, Stratford, Westport, and Black Rock. Upcoming locations are Branford opening late 2017 and West Hartford to open in early 2018. Donut Crazy Opens in Branford TODAY!